Jane Harper is the author of The Dry, winner of various awards including the 2015 Victorian Premier’s Literary Award for an Unpublished Manuscript, the 2017 Indie Award Book of the Year, the 2017 Australian Book Industry Awards Book of the Year Award and the CWA Gold Dagger Award for the best crime novel of 2017. Rights have been sold in 27 territories worldwide, and film rights optioned to Reese Witherspoon and Bruna Papandrea. Jane worked as a print journalist for thirteen years both in Australia and the UK and lives in Melbourne. The Lost Man is a standalone novel from the author of The Dry and Force of Nature. This book is less of a crime novel, and more of a character-driven book. Set in the Australian outback, the premise is that of brothers who are neighbours but live miles away. When one of the brothers is found dead at The Stockman’s Grave, the surviving brothers (Nathan and Bub) set about trying to find out how Cameron ended up dead. What follows is a dark character study, punctuated by the relentless and searing Aussie outback. It is harsh and unforgiving, and that seems to be a parallel with the brothers lives. While I enjoyed The Lost Man, it didn’t grab me as much as the Aaron Falk novels. That being said, it is a tense and dark read with family and secrets at its core. Recommended, especially if you enjoy dark literary fiction! Is Alice here? Did she make it? Is she safe? In the chaos, in the night, it was impossible to say which of the four had asked after Alice’s welfare. Later, when everything got worse, each would insist it had been them. Five women reluctantly pick up their backpacks and start walking along the muddy track. Only four come out the other side. The hike through the rugged landscape is meant to take the office colleagues out of their air-conditioned comfort zone and teach resilience and team building. At least that is what the corporate retreat website advertises. Federal Police Agent Aaron Falk has a particularly keen interest in the whereabouts of the missing bushwalker. Alice Russell is the whistleblower in his latest case – and Alice knew secrets. About the company she worked for and the people she worked with. Far from the hike encouraging teamwork, the women tell Falk a tale of suspicion, violence and disintegrating trust. And as he delves into the disappearance, it seems some dangers may run far deeper than anyone knew. I read and enjoyed The Dry when it came out first so I was looking forward to catching up with Federal Police Agent Aaron Falk in the next installment. In Force of Nature, a woman disappears on a team-building retreat. This woman is a whistleblower in a case that Aaron is working on, so it is in his best interests to investigate her disappearance. What follows is a tale packed with secrets and lies. Each of the women who were with Alice all have something to hide, and it makes for a very interesting read because its difficult to know who or what to believe. Falk finds himself entangled in a web of deception, and he has to work really hard to try and see the bigger picture. For me, Force of Nature was better than The Dry. I got sucked into the story very quickly, and I enjoyed trying to figure out what was going on. I am a big fan of location-driven books, and Force of Nature is another good one. Set in Australia, the unforgiving bush landscape adds another dimension to the narrative. Force of Nature is a good book to add to your TBR. Especially if you’re a fan of Liane Moriarty (Big Little Lies etc.) mixed in with police procedurals. That’s kind of what it felt like to me when I was reading it. 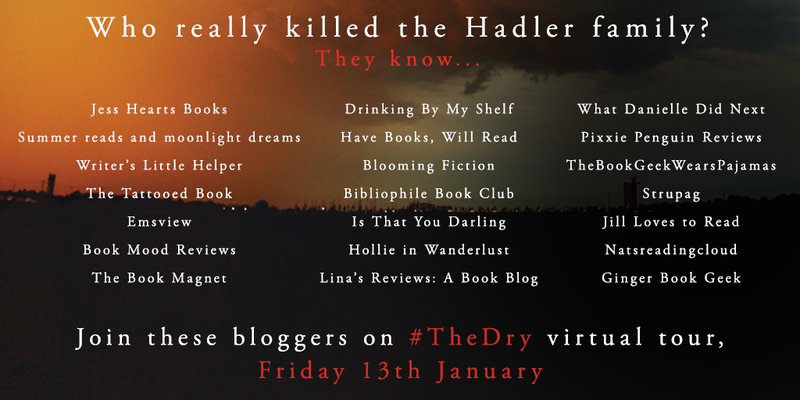 I’m one of the stops on The Dry blog tour today and I finally get to share my review with you all! The Dry is out now! Click HERE to get your copy! Jane Harper was born in Manchester in the UK, and moved to Australia with her family at age eight. She spent six years in Boronia, Victoria, and during that time gained Australian citizenship. Returning to the UK with her family as a teenager, she lived in Hampshire before studying English and History at the University of Kent in Canterbury. On graduating, she completed a journalism entry qualification and got her first reporting job as a trainee on the Darlington & Stockton Times in County Durham. Jane worked for several years as a senior news journalist for the Hull Daily Mail, before moving back to Australia in 2008. She worked first on the Geelong Advertiser, and in 2011 took up a role with the Herald Sun in Melbourne. In 2014, Jane submitted a short story which was one of 12 chosen for the Big Issue’s annual Fiction Edition. 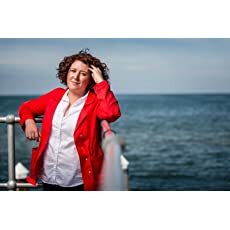 That inspired her to pursue creative writing more seriously, and that year she applied for the Curtis Brown Creative online 12-week novel writing course. She was accepted with a submission for the book that would become The Dry and wrote the first full draft during the three-month course. Jane lives in St Kilda with her husband. I had been watching the chat about The Dry with interest on social media, so I was thrilled to find out I was on the blog tour for it. Set in Kiewarra, Detective Aaron Falk arrives back in his hometown to attend the funeral of his friend Luke Hadler. Luke, his wife and their son Billy were all shot and killed in a murder-suicide by Luke himself. However, upon is arrival home, Falk suspects all is not what it seems. What follows is a tense read. Falk essentially returned home under a cloud. Exiled from Kiewarra twenty years ago when his childhood friend Ellie was found drowned, the people in the town still hold him responsible. He, along with Luke, were both suspected of having a part to play in her death, but nothing was ever proven and Ellie’s death was pronounced a suicide. I love nothing more than reading about small town claustrophobia, and you get that and more in The Dry. There is so much going on behind closed doors and twitching curtains. It is this sense of unease that ramps up the tension for the reader. I think the author has done a great job capturing the small -mindedness and tunnel vision of Kiewarra and its inhabitants. Exacerbating this, there is a serious drought and pretty much everyone is on edge in The Dry. I really enjoyed the dual timeline in The Dry. The reader gets to know Falk past and present, along with many other supporting characters too. It really added to the story to see the past and present versions, giving the reader in insight into how past decisions shaped their futures, for better or worse. This is definitely not a fast paced read, but it is still worth reading. It is tense, character-rich and with plenty to make the reader keep turning the pages. I would definitely recommended The Dry!